Superchunk In Concert After nearly a decade off, Superchunk is back with Majesty Shredding, a potent guitar-rock album with all the youth, exuberance and inspiration of the band's '90s work. Superchunk showcased the new songs, along with old favorites, in a full concert recorded live from the 9:30 Club. "Skip Steps 1 & 3"
It seems impossible for a band to take nearly a decade off and remain relevant. 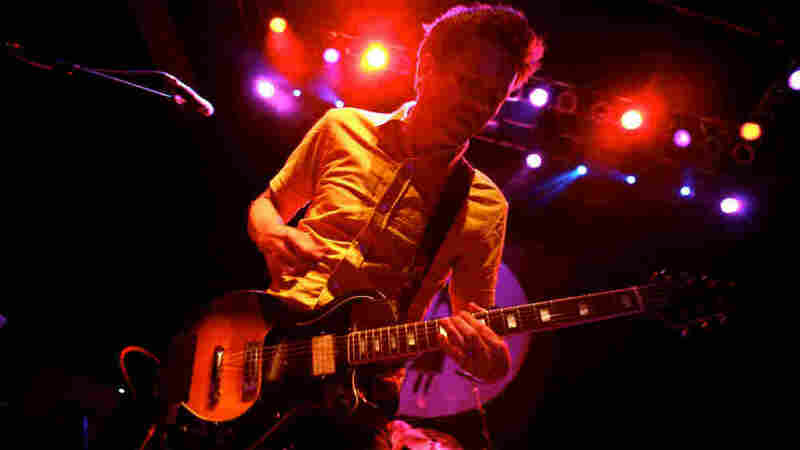 But the Chapel Hill, N.C., rock group Superchunk makes it sound easy. Founding members Laura Ballance and Mac McCaughan spent most of the past 10 years raising families and running their successful Merge Records label. But earlier this year, they blew the dust off Superchunk and got back to the business of making music of their own. The band's latest, Majesty Shredding, is a potent guitar-rock album with all the youth, exuberance and inspiration of Superchunk's beloved early-'90s work. The band showcased the new songs, along with old favorites, in a full concert recorded live from Washington, D.C.'s 9:30 Club.